​Writer, poet, and America’s first woman editor, Sarah Buell Hale is largely responsible for the celebration of Thanksgiving as a national holiday. The holiday had been celebrated sporadically in different states through the early 1800s and occasionally individual presidents declared a specific day of Thanksgiving. But it was Mrs. Hale’s tireless campaign to make it a national holiday that bore fruit under the administration of Abraham Lincoln during the most trying period of American History, the Civil War. Sarah Hale’s own story was extraordinary. A native of New Hampshire, she was the mother of five children when she was widowed in 1822. To support her large family, she put quill to paper and began writing poetry, fiction, and non-fiction. Her first book of original Poems for Our Children was published in 1830 (and included her still popular “Mary Had a Little Lamb”). Sarah’s talents caught the eye of Reverend John Blake of Boston, who was publishing a popular monthly Ladies Magazine that he himself edited. Blake was bold enough to ask Sarah to take over as editor (there were no women editors in the United States). She moved to Boston and proceeded to boost circulation. When Louis Godey bought Rev. Blake’s magazine in 1837, he asked Sarah to stay on as editor. Mrs. Hale presided as editor (or “editress” as she preferred) of the influential Godey’s Lady’s Book from 1837 to 1877 – recommending books, authors, fashions, and social causes (ranging from the education of women to the restoration of historic sites). She furthered the careers of major American writers by publishing literary essays by Washington Irving, Nathaniel Hawthorne, Edgar Allen Poe, and Oliver Wendell Holmes. Sarah Buell Hale thought a national Thanksgiving would be a source of unity for all Americans, as well as a means of acknowledging the blessings of a bountiful land of liberty. She pounded Presidents Taylor, Fillmore, Pierce, and Buchanan with letters urging the establishment of a national Thanksgiving holiday, as a way of encouraging both gratitude and unity. They ignored her. Abraham Lincoln did not. When he received her letter in September 1863, just months after the carnage at Gettysburg, Lincoln saw the wisdom of her suggestion, and proclaimed the last Thursday in November an annual holiday. 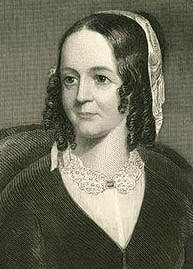 ​A splendid children’s book on Sarah Hale has not yet been written. But teachers and children will find her extraordinary life and efforts profiled in two accounts. The former is lively but light. The latter is more substantive. The bouncy “superheroine” approach in this picture book tends to portray Sarah Hale as a caricature of herself (she becomes a bit of a stubborn, willful, quill-wielding nag.) But young children will at least meet this noteworthy woman, and learn of her wide-ranging efforts. 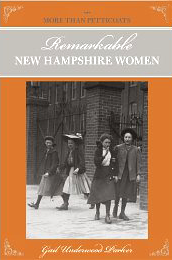 More than Petticoats: Remarkable New Hampshire Women Gail Underwood Parker. A solid overview of her life in a readable twelve pages, but without illustrations. A beautifully illustrated and inspiring biography of 2004 Nobel Prize winner Wangari Maathai, who led Kenya’s “Green Belt” movement. Born and raised in the hills of central Kenya, Wangari treasured the richness and beauty of her land. She went off to study biology in the United States (in 1960) and seven years later returned to her homeland to find it largely deforested. Maathai led a movement of Kenyan women to replant trees and restore not simply the stripped land, but the relationship between the land and its people. She was fabulously successful, and was awarded the Nobel Prize for her efforts. This is a stunning book about a woman determined to make the world better place – one tree and one woman at a time. ​On November 11, we pause to remember those who have served in our Armed Forces and sacrificed much for their country. November 11 is the date for this commemoration because in 1918, on the eleventh day of the eleventh month of the eleventh hour, warring world powers signed an armistice, ending World War I. The Poppy Lady. Moina Belle Michael and Her Tribute to Veterans. ​Barbara E. Walsh. Illustrated by Layne Johnson. Calkins Creek, 2012. American University Professor Moina Belle Michael saw her students and friends go off to fight in World War I, and many lost their lives. Inspired by the poem “In Flanders Fields,” she launched a campaign to make poppies the symbol of remembrance for fallen soldiers, who had sacrificed all for their country. Much of Michael’s own life at this time was devoted to helping soldiers. Warm and vibrant illustrations show women on the home front as well as departing soldiers. Excellent for Veteran’s Day or Memorial Day. This poignant volume speaks to both the sacrifice of those who fought in World War I and their hope that their death served a higher purpose. Idealistic physician John McCrae served in the Canadian armed forces on the Western Front. He experienced trench warfare, poison gas, and the death not just of many patients, but of a close friend. The death of his friend prompted him to write the famous poem which sets the stark finality of death against a background of life. He asks later generations to vindicate their sacrifice and not to break faith with those who have died. Granfield’s explanation of the war’s causes and dimensions provide a sobering backdrop for the poem, as does the knowledge that McCrae himself died before the war’s end. Teachers may wish to read the entire text of the poem with the class first, then read the contextual material over a period of two days, and conclude with a final reading of the poem.